The 2018-2019 school year will have a few new faces roaming the building. (Back row/left to right) Mr. Trevor Anderson is the new 7-12 Principal and Activities Director, Mrs. Sarah Jesse will be teaching 9-12 Spanish and Mr. Andrew Brase will be leading the K-12 Music Program. 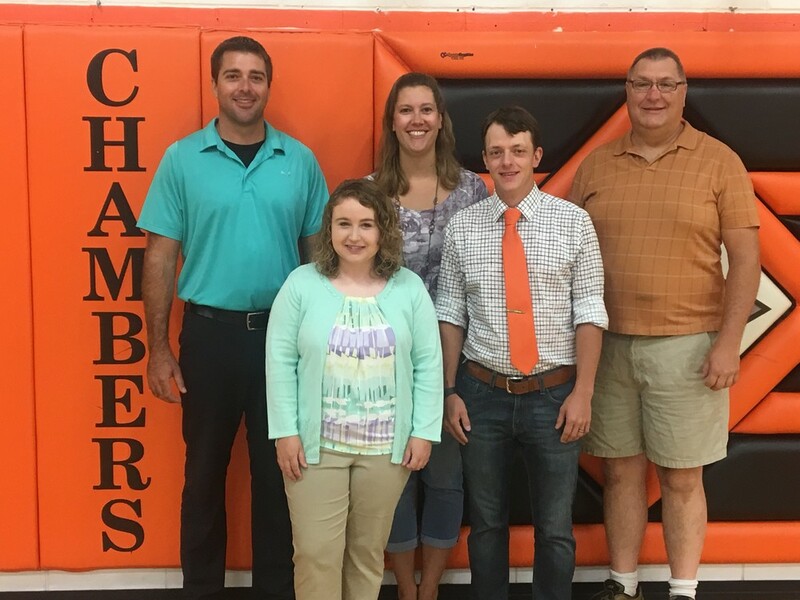 (Front row/left to right) Ms. Maranda Kegley is the new Agriculture teacher and FFA sponsor and Mr. Brady Baker is our new 7-12 English instructor. Not pictured, Denise Burrell is our new assistant cook. A more in-depth introduction of each new member will be in the September Coyote newsletter.